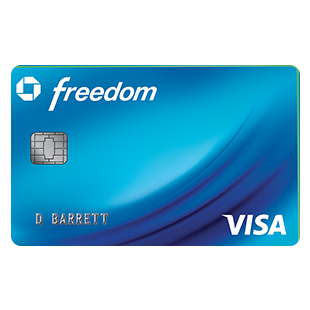 Earn 3% cash back on all purchases in your first year up to $20,000 spent with the Chase Freedom Unlimited® Credit Card. After that earn unlimited 1.5% cash back on all purchases. Plus, get 0% Intro APR for 15 months from account opening on purchases and balance transfers, then a variable APR of 17.24-25.99%. Balance transfer fee is 3% of the amount transferred, $5 minimum. No minimum to redeem for cash back. Cash Back rewards do not expire as long as your account is open. Free credit score, updated weekly with Credit Journey℠. No annual fee. 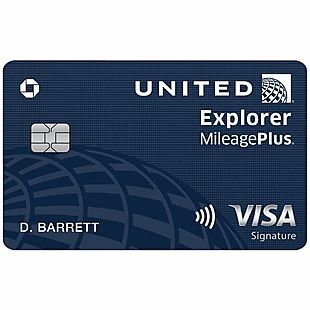 Earn 40,000 bonus miles after you spend $2,000 on purchases in the first 3 months your account is open with the United℠ Explorer Card. Plus, earn an additional 20,000 bonus miles after you spend $8,000 total on purchases in the first 6 months your account is open. There's also a $0 introductory annual fee for the first year, then $95. You'll earn 2 miles per $1 spent at restaurants and on hotel stays, up to $100 Global Entry or TSA Pre✓® Fee Credit, and 25% back on United inflight purchases. Check your first bag for free (a savings of up to $120 per roundtrip) when you use your Card to purchase your ticket. Enjoy priority boarding privileges and visit the United Club℠ with 2 one-time passes each year for your anniversary. Earn 2 miles per $1 spent on purchases from United, and 1 mile per $1 spent on all other purchases. 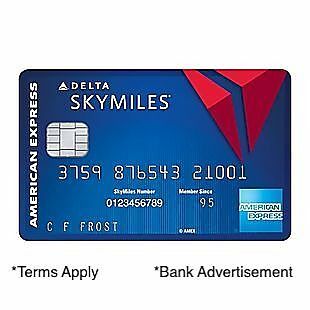 Earn 10,000 bonus miles after spending $500 in purchases on your new Blue Delta SkyMiles® Credit Card from American Express Card in your first 3 months of Card Membership. There's no Annual Fee. You'll earn 2 miles per dollar at US restaurants. You'll also earn 2 Miles per dollar spent on purchases made directly with Delta. Plus, earn 1 mile on every eligible dollar spent on other purchases. You'll also receive a 20% savings in the form of a statement credit after you use your Card on eligible Delta in-flight purchases of food, beverages, and audio headsets. APR is 17.99%-26.99% Variable. Terms Apply. See Rates & Fees. 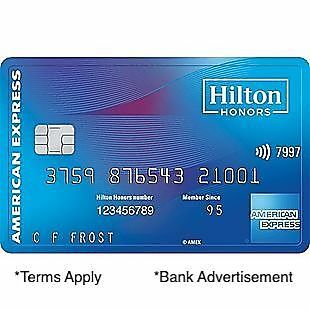 Earn 125,000 Hilton Honors Bonus Points with the Hilton Honors American Express Ascend Card after you use your new Card to make $2,000 in eligible purchases within the first 3 months of Card Membership. You'll earn a Weekend Night Reward from Hilton Honors after you spend $15,000 on purchases on your Card in a calendar year. Plus, earn 12X Hilton Honors Bonus Points for each dollar of eligible purchases charged on your Card directly with a hotel or resort within the Hilton Portfolio. You'll earn 6X Hilton Honors Bonus Points for each dollar of eligible purchases on your Card at U.S. restaurants, U.S. supermarkets, and U.S. gas stations. You'll also earn 3X Hilton Honors Bonus Points for all other eligible purchases on your Card. Spend $40,000 on eligible purchases on your Card in a calendar year and you can earn Hilton Honors Diamond status through the end of the next calendar year. $95 annual fee. Terms Apply. See Rates & Fees. Earn a $150 statement credit after you spend $1,000 in purchases on your new Card within the first 3 months. Plus, earn 3% Cash Back at U.S. supermarkets (on up to $6,000 per year in purchases, then 1%), 2% Cash Back at U.S. gas stations and at select U.S. department stores, and 1% back on other purchases. There's a low intro APR: 0% for 15 months on purchases and balance transfers, then a variable rate, currently 15.24% to 26.24%. 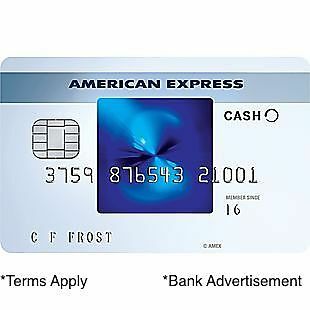 Over 1.6 million more places in the U.S. started accepting American Express® Cards in 2018. 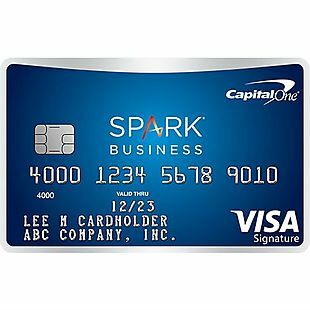 Cash back is received in the form of Reward Dollars that can be easily redeemed for statement credits, gift cards, and merchandise. There's no annual fee. Terms Apply. See Rates & Fees. 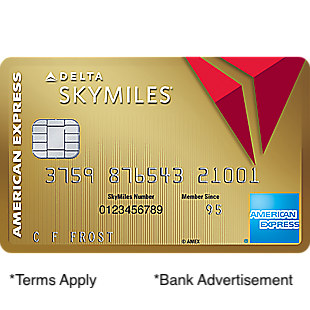 Earn 30,000 Bonus Miles after you use your new Gold Delta SkyMiles® Credit Card to make $1,000 in purchases within your first 3 months and a $50 Statement Credit after you make a Delta purchase with your new card within your first 3 months. Earn 2 miles for every dollar spent on eligible purchases made directly with Delta. Earn one mile for every eligible dollar you spend on purchases. Check your first bag free on Delta flights – that’s a savings of up to $240 per round trip for a family of four. Settle into your seat sooner with Main Cabin 1 Priority Boarding. Enjoy a $0 introductory annual fee for the first year, then $95. Terms apply. See Rates & Fees. 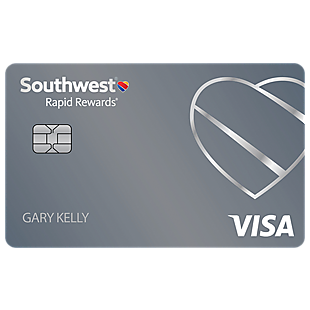 Earn 40,000 points with the Southwest Rapid Rewards® Plus Card after you spend $1,000 on purchases in the first 3 months your account is open. There's also 3,000 bonus points after your Cardmember anniversary. 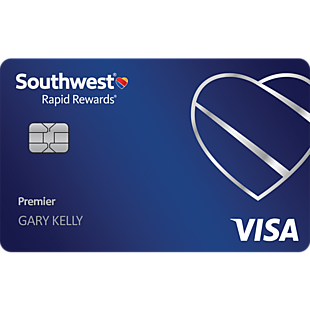 You'll earn 2 points per $1 spent on Southwest® purchases and Rapid Rewards® Hotel and Car Rental Partner purchases, and 1 point per $1 spent on all other purchases. 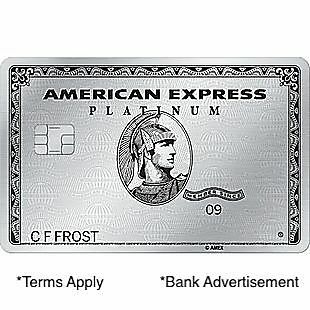 Earn unlimited points that don't expire as long as your card account is open. Plus, no blackout dates or seat restrictions. 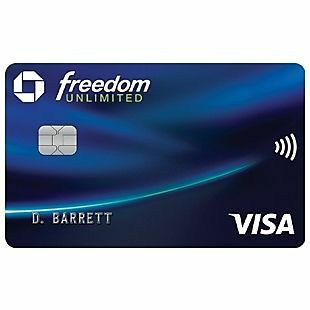 There is a 3% foreign transaction fee for this card. 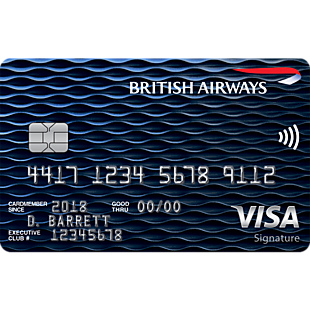 Earn 4 Avios for every $1 spent on all purchases within your first year up to $30,000 with the British Airways Visa Signature® Card. That’s up to 120,000 bonus Avios! Every calendar year you make $30,000 in purchases on your British Airways Visa card, you’ll earn a Travel Together Ticket good for two years. After 4 Avios for every $1 spent on all purchases up to $30,000 in the first 12 months from account opening, you will then earn 3 Avios for every $1 spent on British Airways purchases and 1 Avios for every $1 spent on all other purchases. There are no foreign transaction fees when you travel abroad. This card is also is enabled for contactless payment. 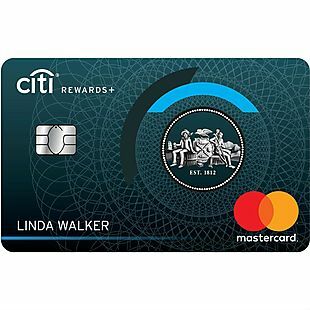 The new Citi Rewards+℠ Card has one of the most unique features we've ever seen- automatically rounding up to the nearest 10 points on every purchase. That means on a $1 purchase, you'll earn 10 ThankYou points. 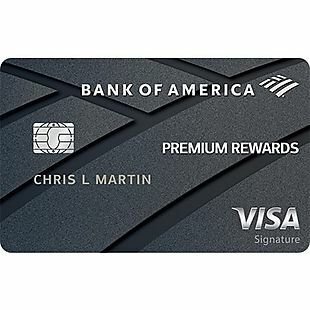 You'll also earn 15,000 bonus points after you spend $1,000 in purchases with your card within 3 months of account opening; redeemable for $150 in gift cards at thankyou.com. There's a 0% Intro APR on balance transfers and purchases for 12 months. After that, the variable APR will be 15.74% - 25.74%, based on your creditworthiness. You'll earn 2X ThankYou® Points at Supermarkets and Gas Stations for the first $6,000 per year and then 1X Points thereafter. Plus, earn 1X Points on All Other Purchases. You'll also get 10% points back for the first 100,000 ThankYou® Points you redeem per year. 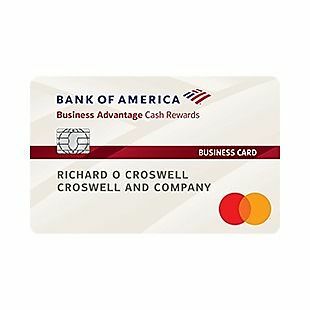 Get a $300 statement credit when you make at least $3,000 in net purchases within 90 days of your account opening with the Bank of America® Business Advantage Cash Rewards Mastercard® credit card– with no annual fee, no cap on the amount of cash rewards you can earn and they don't expire. There's 3% cash back in the category of your choice: gas stations (default), office supply stores, travel, TV/telecom & wireless, computer services or business consulting services, 2% cash back on dining (for the first $50,000 in combined choice category/dining purchases each calendar year, 1% thereafter), and 1% cash back on all other purchases. Redeem your cash rewards as a statement credit, check, or have cash deposited into a Bank of America® checking or savings account. Plus, get a 75% rewards bonus on every purchase when you're a Business Advantage Relationship Rewards Platinum Honors tier client. That means you will earn 5.25% on your selected choice category, 3.5% on dining and unlimited 1.75% cash back on all other purchases. More details available on Bank of America's Website. There's a 0% Introductory APR for 9 billing cycles; 14.49% - 24.49% Variable APR on purchases after that. 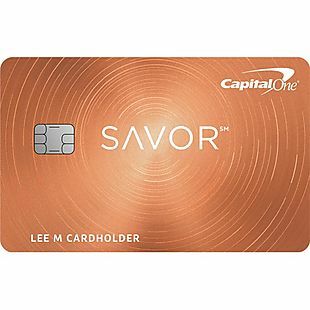 With the Capital One® Savor® Card, you earn unlimited 4% cash back on dining and entertainment, 2% at grocery stores and 1% on all other purchases. You can also earn a one-time $500 cash bonus after you spend $3,000 on purchases within the first 3 months from account opening. Plus, there are no rotating categories or signups needed to earn cash rewards, and the cash back won't expire for the life of the account. Receive a monthly statement credit for a Postmates Unlimited monthly membership through Dec. 2019 with this card. Plus, earn 8% cash back on tickets at Vivid Seats through May 2020. It has a $0 intro annual fee for the first year, $95 after that. The APR is 16.74% - 25.74% (Variable) for purchases. 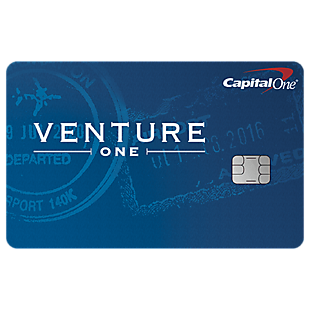 Enjoy $0 annual fee and no foreign transaction fees with the Capital One® VentureOne® Rewards Card. Earn a bonus of 20,000 miles once you spend $1,000 on purchases within 3 months from account opening, equal to $200 in travel. Earn 1.25X miles on every purchase, every day. Earn 10X miles on thousands of hotels, through January 2020; learn more at hotels.com/venture. Transfer your miles to over 12 leading travel loyalty programs. Enjoy 0% intro APR on purchases for 12 months; 14.24% - 24.24% variable APR after that. Travel when you want with no blackout dates and fly any airline, stay at any hotel, anytime. Miles won't expire for the life of the account and there's no limit to how many you can earn. 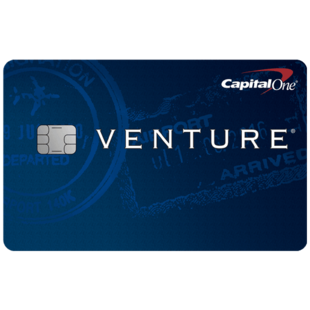 Enjoy a one-time bonus of 50,000 miles once you spend $3,000 on purchases within 3 months from account opening, equal to $500 in travel when you apply for the Capital One® Venture® Rewards Credit Card. You'll earn 2X miles on every purchase, every day. Plus earn 10X miles on thousands of hotels, through January 2020; learn more at hotels.com/venture. You will also receive up to $100 application fee credit for Global Entry or TSA Pre✓®. The annual fee is $0 for the first year, then $95 after that. Plus, fly any airline, stay at any hotel, anytime when you redeem your miles. Travel when you want with no blackout dates and no foreign transaction fees. Miles won't expire for the life of the account and there's no limit to how many you can earn. 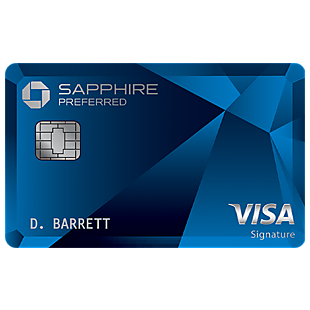 The card was named "The Best Travel Card" by CNBC, 2018. The purchase APR is 17.99% - 25.24% (Variable). 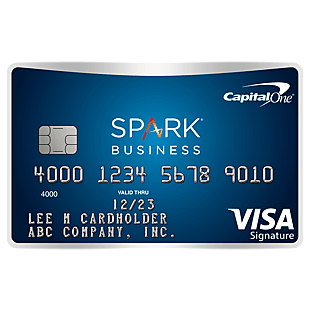 With the Capital One® Spark® Miles Select for Business credit card, you'll earn 1.5 miles per $1 on every purchase. Plus, a one-time bonus of 20,000 miles once you spend $3,000 on purchases within 3 months from account opening. Miles won't expire for the life of the account, and there are no categories to limit where or what you buy. Save on interest with 0% purchase APR for 9 months; 15.24% - 23.24% (Variable) after that. There's no annual fee, and no foreign transaction fees. 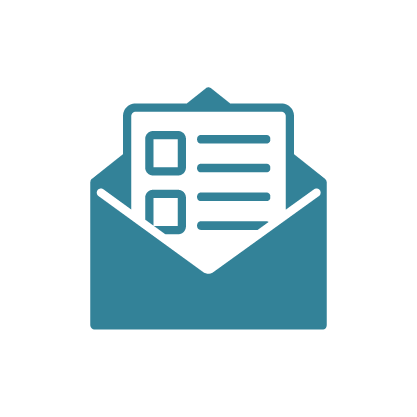 You can also get online Quarterly and Year-End Summaries. There's no limit to the amount of miles you can earn. When it's time to use those miles, fly on any airline, anytime, with no blackout dates or seat restrictions. 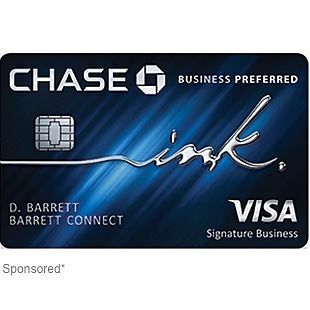 Earn 80,000 bonus points with the Chase Ink Business Preferred℠ Card when you spend $5,000 in the first 3 months after account opening. You'll also earn 3 points per $1 on the first $150,000 spent in combined purchases in travel, shipping, internet, cable and phone services, and advertising purchases made with social media sites and search engines each account anniversary year. You'll earn 1 point per $1 on all other purchases. You can also add employee cards for free. 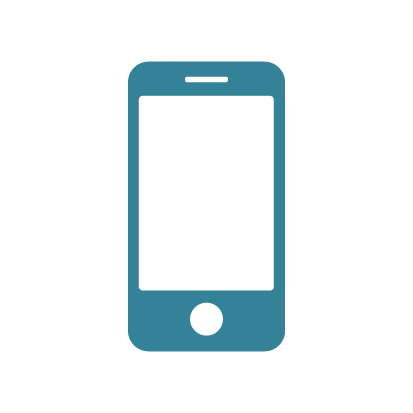 Also, get up to $600 per claim in cell phone protection against covered theft or damage for you and your employees listed on your monthly cell phone bill when you pay it with your Chase Ink Business Preferred℠ credit card. Maximum of 3 claims in a 12 month period with a $100 deductible per claim. There's a $95 annual fee and no foreign transaction fees. A variable APR of 18.24% - 23.24% applies.